"White Ashes" The Novel : Suspense, Intrigue, Perception & Reality await! "A masterpiece ... would make a wonderful movie." "An impressively written and complex saga ... an absorbingly entertaining read from beginning to end. Very highly recommended." "The author forges riveting back stories ... also smart effervencent prose. A long but laudable tale that deftly blends a love story with all the goodies of crime drama." "Mr Moulton has a very engaging style of writing ... it all seems very natural and realistic. White Ashes is a long novel so it's very good value for money ... none of it drags, I was glued to the pages from start to finish ... a compulsive read with good pacing in the reveals. I have no hesitation, therefore, in recommending it as a good read." "I was completely captivated with White Ashes ... Totally big screen-worthy story." "One of a kind. Brilliantly written." "What a book! It has got everything ... on a par with leading authors of today." "Suspenseful, exciting novel without the need for gratuitous amounts of anything. "A truly gripping read. "This is the best book I have read in ages." "Beautifully written ... The author's timing and flow of the story was perfect." "I was hooked to the point that I have had so many late nights. Just sorry I have finished it! "Great story, keeping you intrigued and gripped throughout. Would make an awesome suspense thriller movie." "Gripping novel. Fantastic read. I couldn't put it down. It would make a great movie." "To say White Ashes is a love story does NOT do it justice....to say its a murder/mystery story isn't even close....to say it is a drama or a suspense don't cut it either. This book is all of the above and so much more." "It was gripping from beginning to end. one of the best books I have read. Loved the characters. Hard to put the book down for the evening." "Someone make a movie out of this!! ... A masterpiece...I'm hoping [the author] adds another novel to his collection soon. Suspenseful and intriguing, fun, romantic and well written." "I was hooked after the first few pages! I did not want it to end and spent many late nights reading. I was absorbed by the story line and felt that White Ashes has something for readers of all types." "Loved everything about this book ... a great storyline ... my chores were neglected for a couple of days. Fabulous. "Enjoyed this book immensely, its been a long time since i read a book that I couldn't put down ... it's a long book, over 700 pages, and it kept my interest the whole way through ... the author did a great job in putting it all together." "A stonking good read. Difficult to put in one genre, it's not predictable like most murder/mystery/romance books, having many twists and turns." 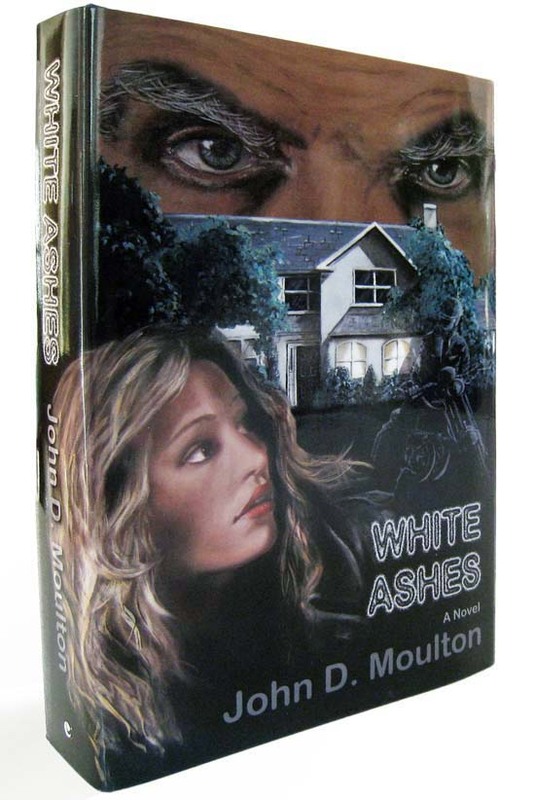 "Moulton is a master at building suspense. While action came in waves, the emotion was steady. Strong authentic characters made this a book I can recommend with passion.."
"If you haven’t read this book, it’s time you do! ... The words on the page will draw you into a world that will grip you and demand that you continue reading. The author does an exceptional job of “painting a picture” in the mind’s eye." "I was hooked from the 1st page ... such a beautifully written book with a plot so extensive it’s gripping ... you so have to put this on your bucket-list. I can’t wait to read more from this author." "The characters are so real and the whirlwind that was Rachael's life was gripping. I laughed. I cried. I gasped. I loved everything about this book." 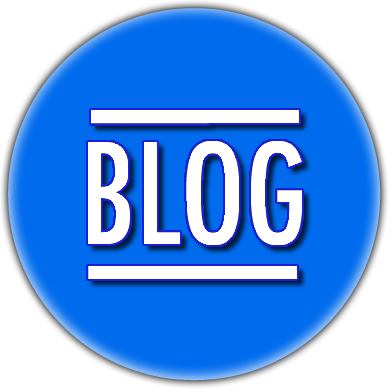 CLICK HERE For some thoughts gleened from Amazon's own experiences as to what works best! Rachael Farrington is suddenly besieged by assassination plots, abductions, and police corruption, as dangerous secrets emerge from her boyfriend’s past. "It's a story that tests the judgement of its characters and will no doubt test the judgement of its readers too." Teenager, Rachael Farrington is sitting on a riverbank when young Jason Beauvale wanders into her life. The two become inseparable, but Rachael’s mother is suspicious of the boy; he’s wealthy and, for reasons of her own, she has no trust for him and his kind. As the couple become closer, Jason shares a secret: At the age of five he witnessed his baby brother murdered and his father escape, badly injured, under a hail of bullets. He doesn’t know why it happened, or if his father survived, or why his mother then chose a life in hiding, refusing to speak much of him or their past lives again. These are mysteries that haunt the boy and which he aches to resolve. In an ironic twist, as the young couple battle against those determined to end their relationship, they are confronted by the very forces that lurked in Jason’s past. In the turmoil that follows, loved ones soon face abduction, imprisonment and death, as an unscrupulous organisation, known as The Syndicate, seeks to fulfil a long-outstanding resolution to which Jason unwittingly becomes the key. “You’ll rot where you stand before I —"
The sound of Jason's motor bike came to her and the shock of it took her face before she could conceal it. The rumble grew louder: Jason and Rachael were making their way up the drive. Rebecca knew they were moments away from certain death. She gasped as Branagan twisted her around and forced her left arm high up behind her back—her bad arm. The pain was searing. Before she could recover, he wrapped his other arm around her waist, ramming the gun barrel hard under her rib cage, pointing it directly toward her heart. The coarse growth on his unshaven chin pressed slowly, menacingly, against her ear as he spoke. “You’d better do exactly as I say, Becky,” he whispered. But Rebecca was not about to obey. She would not allow this low-life filth to blackmail and then slaughter all who were so dear to her. She had told herself many times that she loved them more than life itself—and the truth of that was unfolding now. Available at Amazon, and can be order at Barns & Noble (USA) WH Smith (UK) Waterstones (UK) and other great book stores. Soft Cover & Hard Cover available! 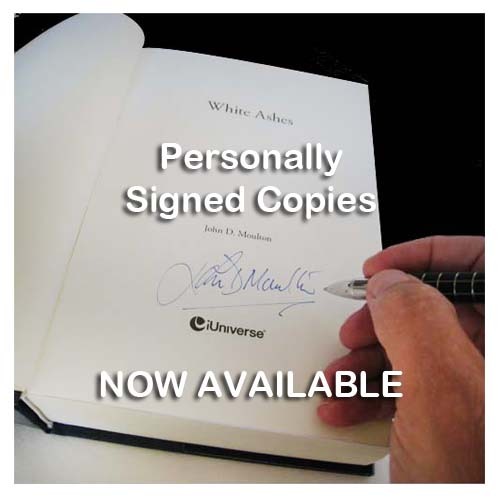 John’s career involved a great deal of writing—mostly studious business reviews and creative marketing plans, but his observations of life and keen imagination also inspires writing of a more adventurous kind. 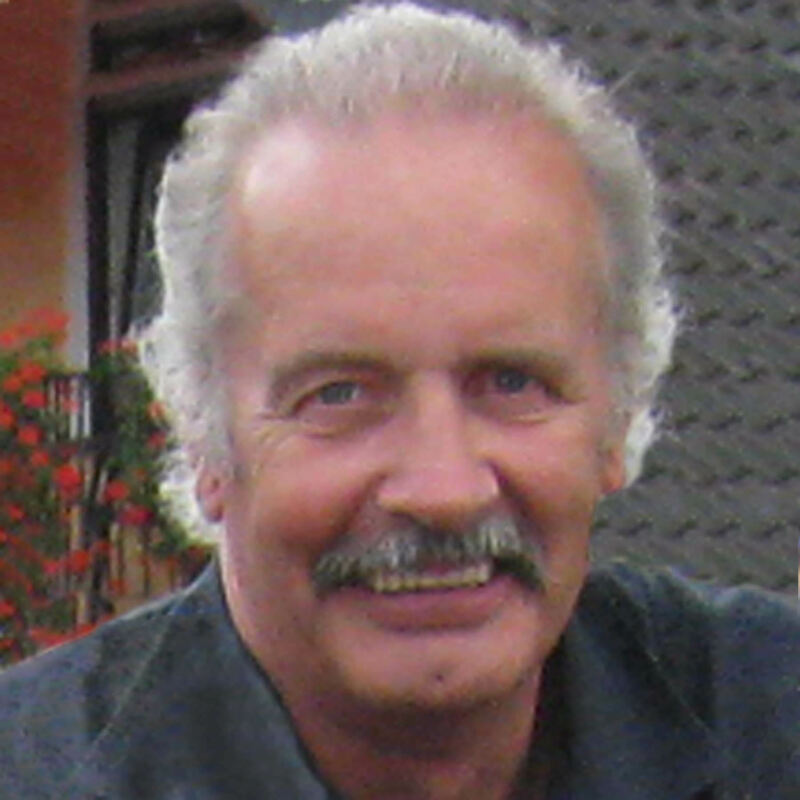 Born and raised in Manchester, England, John has now ‘retired’ to write and paint in North Dallas, Texas. Would you like to become a patron of my work? I've spent over twenty thousands dollars on book stocks and promotional activity of one sort or another and I now I simply don't have the funds any longer to get my work noticed by those who could make a difference. As a result, White Ashed is drowning under a sea of well-funded competitors and, if that continues, the book will be lost to the world and I will no longer be able to write in a meaningful way. These days, under such circumstances it's easy for small investors, sponsorrs and potential patrons to contribute whatever they can to keep the work alive to flourish and grow - maybe even become a Hollywood blockbuster!